Summer months mean mosquitos in Ontario. Annoying for us, but potentially deadly for our furry friends. Dogs (and to a much lesser extent cats) can be infected by the larvae of a parasite known as Heartworm (Dirofilaria immitis), which is transmitted to pets by mosquito bites during the warmer months of the year. Many of our pets receive monthly preventative medications to stop them from becoming infected by the heartworm parasite and these act to kill of any larvae that our pets may have been infected with. If an animal has an adult worm inside them, a blood test is the easiest way to find out before the worm causes damage to the heart, lung and blood vessels, and before we see clinical signs like shortness of breath, coughing or decreased activity. “But my dog was on medication, do I need to do the test?” A great question and one that we get asked all of the time. The recommendation from the suppliers of the once monthly heartworm medication is that a dog gets tested prior to starting medication. There is a small risk for a dog who has a heartworm infection to have an allergic-type reaction if they are given a dose of the medication and the larvae in their blood stream begin dying. In Southern Ontario, this risk is small due to the prevalence of the heartworm parasite. However, another risk exists for dogs that are not tested, and that is that a dog is affected by heartworm disease and goes undiagnosed. For instance, Gus the Golden Retriever is on once a month preventatives in the summer of 2015. In July his parents take him to the cottage and forget his medication. He is bitten by a mosquito while there and picks up the heartworm parasite. He gets his August dose of medication and goes on like nothing has happened. But inside, the larvae have started to grow into worms and are no longer affected by the preventative medication. Testing in 2016 will tell us that Gus is infected and we can get him on the treatment he needs; Heartworm is treatable if caught early. If he is not tested, Gus goes on receiving his monthly medication this summer without anyone knowing he is infected and the treatment this year does not help with the worms already growing in his heart. 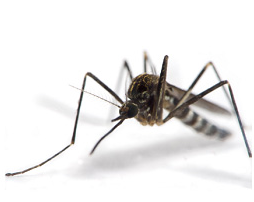 This same concern exists for pets if mosquito season starts earlier, lasts longer or if there is a resistance developing to the parasite medication. This is why we can’t just ignore testing completely. Currently we are recommending a “Spot check” approach to heartworm testing. For dogs in Southern Ontario with no travel history and who have been on preventatives June 1st to November 1st, it is reasonable to test them for heartworm once at some point in a two-year period (not necessarily before starting summer medication) to make sure that they have not been exposed to the parasite. That is a brief summary of why we test and what risks are involved. There are many factors here and one answer does not always fit each pet’s lifestyle. Our staff will be happy to help you make the best decision for you, your family and your pet. Please let us know if there is any way that we can help?